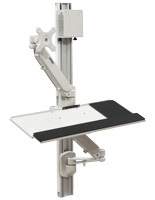 This TV Stand Has an Extending Arm to Accommodate Different Viewing Angles! 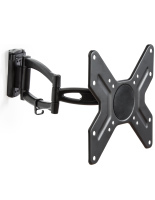 This TV Stand For 22" TVs Secures Television Monitors with Metal Thumb Screws! 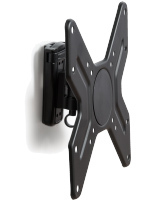 This TV Stand Is Stocked by the Thousands! 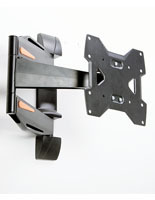 This TV stand supports a 10" to 42" plasma or LCD TV that weighs up to 55 lbs. 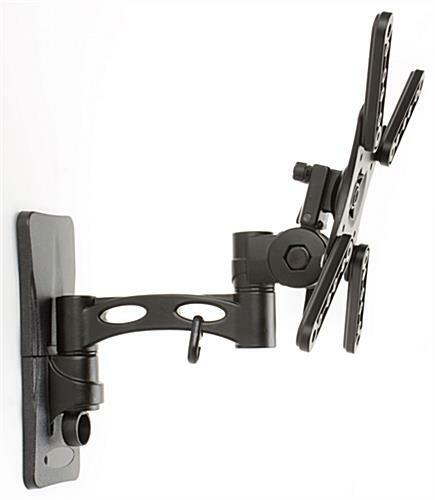 This mount has everything you need to attach most televisions, such as Panasonic or LG. 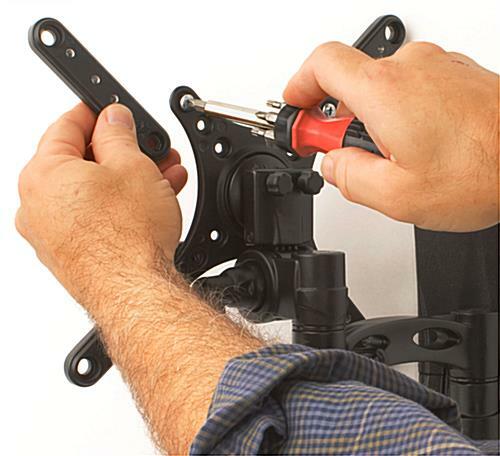 Nevertheless, some TVs need special screws that tend to be not provided in this package but tend to be available at most tools shops. 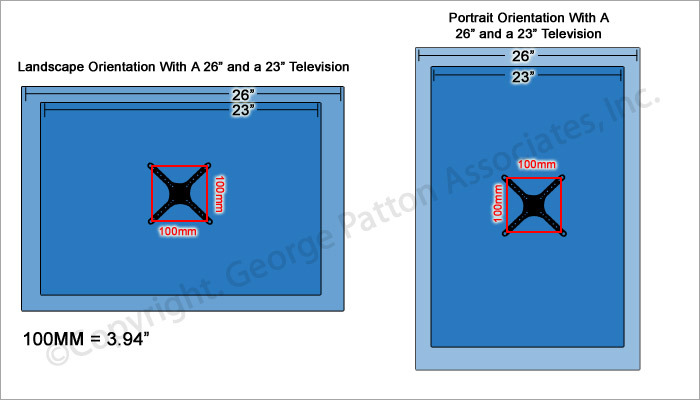 This TV stand, also recognized as a plasma TV stand or flat panel mount, features VESA compliant 50 x 50 to 100 x 100 mounting hole patterns. 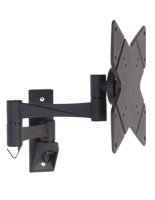 This TV stand likewise has arms that extend the so it is perfect for TV monitors up to VESA 200 x 200. 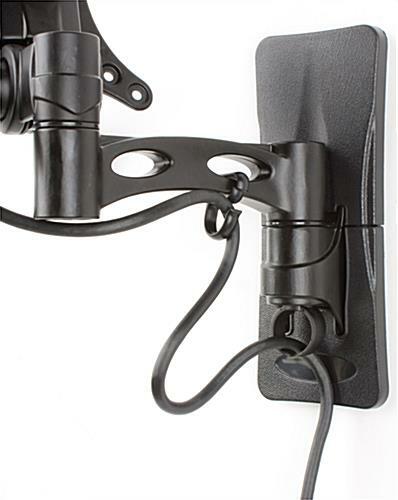 The TV stand, plasma mount has pragmatic yet appealing black acrylic coverings that keep affixing screws concealed from sight. 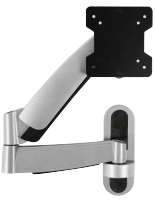 A TV stand, plasma mount has an articulating arm for not difficult positioning of these screens to warrant optimum viewing capability. 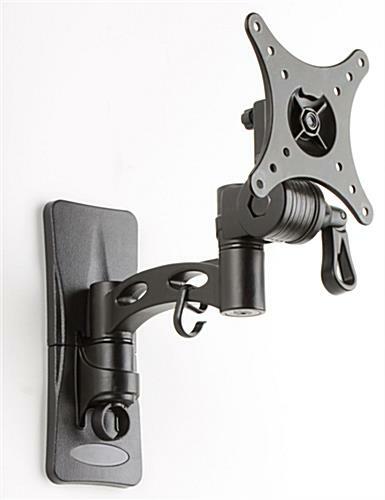 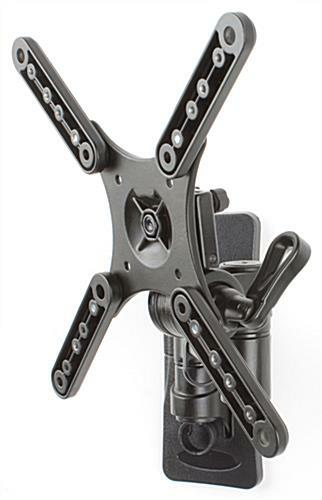 This articulating arm tilts downward up to 20° and stretches the arm out up to 9-1/8". 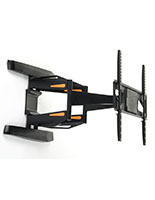 This TV stand for 22" TVs maintains wires coming from the screen neat utilizing special clips.